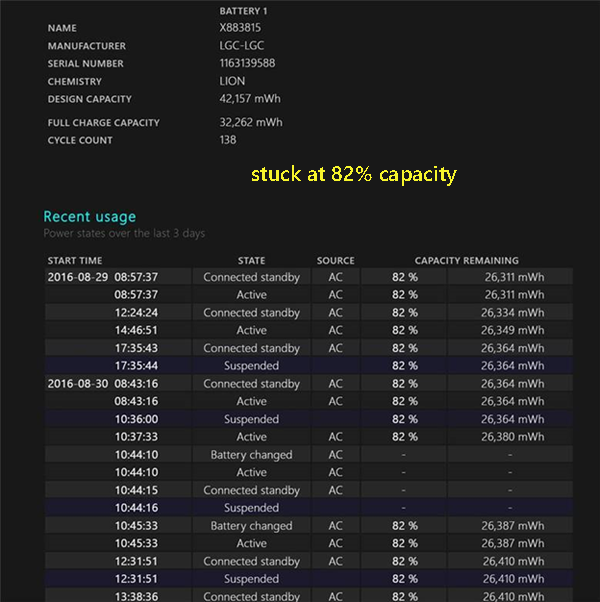 Did the SP3 Simplo battery fix negatively impact LGC? 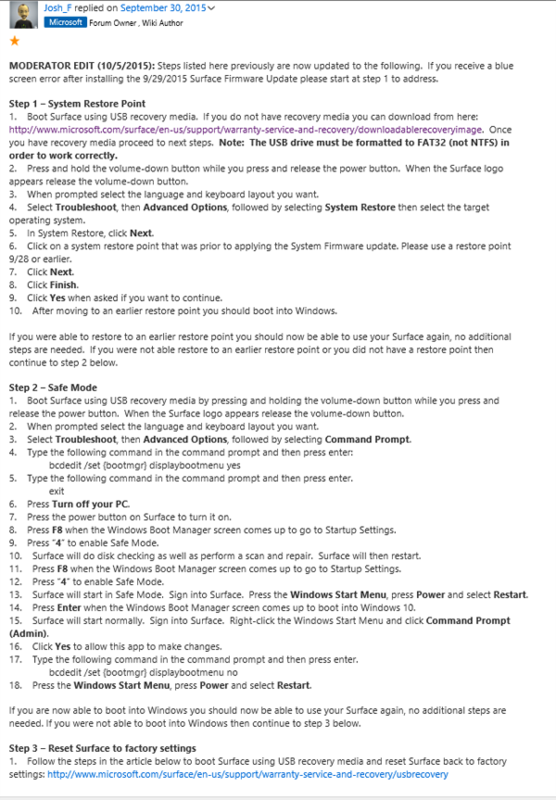 If you have a Surface Pro 3, you probably received a firmware update on or around 8/292016. This firmware update is a fix for Simplo batteries only. 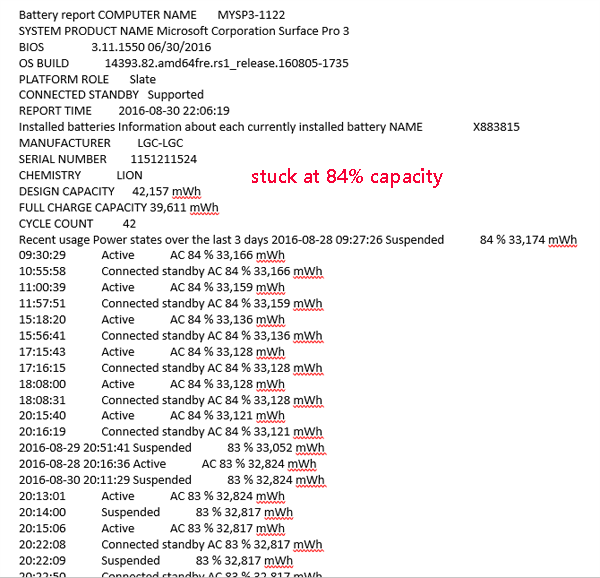 Most people have reported their SP3’s with Simplo batteries now show reasonable capacity (but there are customers reporting bricks). A trend is appearing in the Microsoft Community Forums (Answers) that suggests that something in the firmware to fix Simplo has had a bad impact on Surface Pro 3’s equipped with LGC batteries. 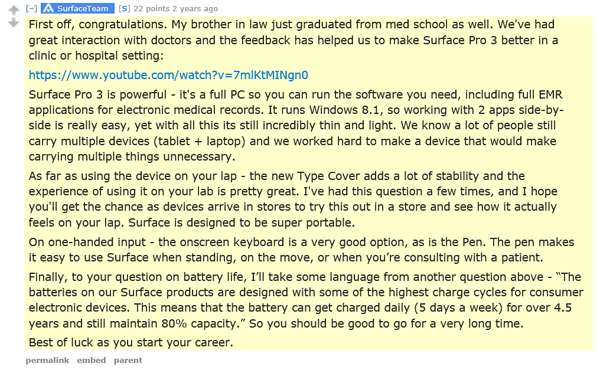 This thread has some folks posting about this http://answers.microsoft.com/en-us/surface/forum/surfpro3-surfhardware/surface-pro-3-with-lgc-lgc-battery-degradation/13d03fbe-1edd-489f-bd0a-2c07ff615128?msgId=25830051-4e6d-4a5d-b194-2e78168e6534 (and there are a couple of others). Save the file and if it looks like the samples below, post in the above thread. As you can see, these folks are stuck on a fixed, less than 100% capacity. This condition was not present prior to the 8/29 firmware update. You can also let me know on Twitter, @barbbowman if you are impacted. 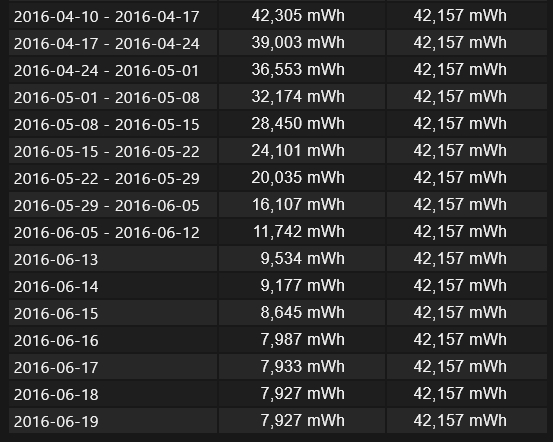 Surface Pro 3 SIMPLO Battery Issue? As a Community Moderator on the Microsoft Surface Forums, it’s pretty easy for me to pick up trending hot issues (unlike the paid Forum staff who do not triage or correlate). I regularly forward these on to a contact inside Microsoft. 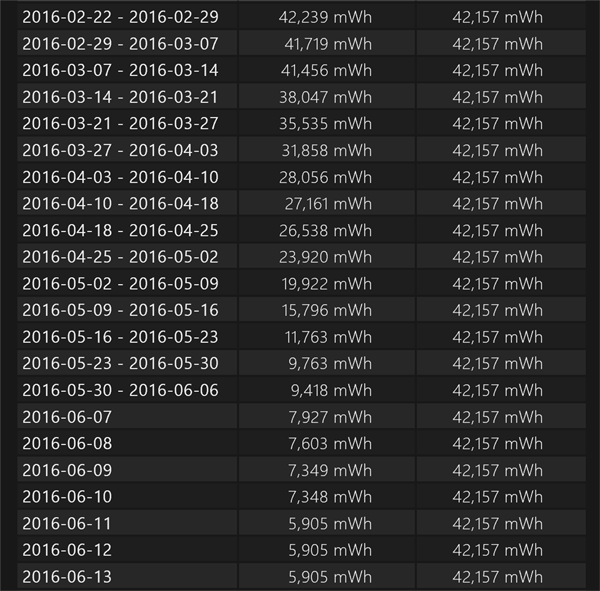 At the end of June, I saw an increasing number of reports about a sudden and dramatic decrease in Surface Pro 3 battery capacity. I’ve been forwarding these along every since, asking that Microsoft at minimum state that “we are investigating reports”, but no official MS rep has even posted that they are reading and investigating. Sadly, once out of warranty, it costs $99 to even contact official support. And the scripted answer is “we will replace your device with a refurb for $450” (etc.). Many folks have gone this route. 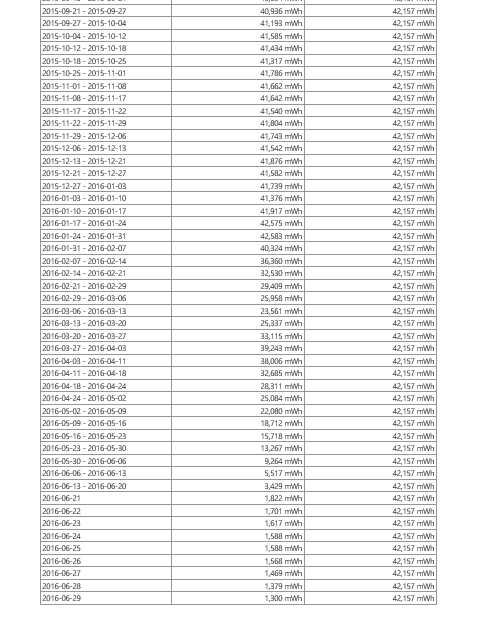 I’ve been scraping the forum and doing my own analysis. 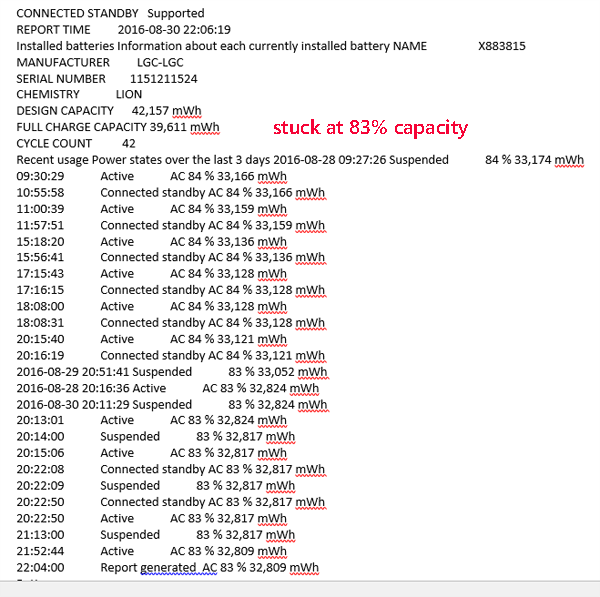 The folks who know how to run a battery report (admin cmd prompt, then powercfg /batteryreport) have been posting screen shots or cut and paste text outputs. 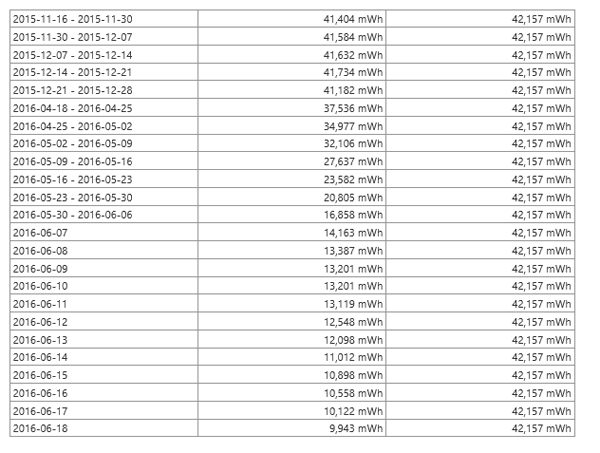 Based on the sampling, I see only SIMPLO batteries and no LGC batteries. This is disturbing. I’ve been begging MS to respond to afflicted users. The silence is deafening. 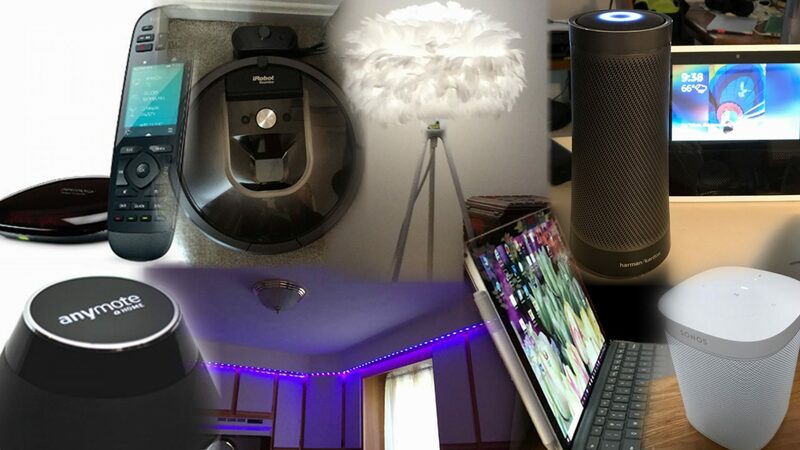 Below is a sampling of what I am scraping from the Forum. 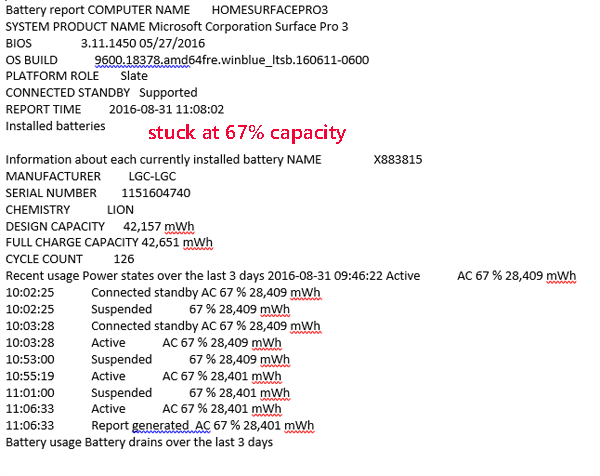 If you have a Surface Pro3 and are seeing diminished capacity, PLEASE post in http://answers.microsoft.com/en-us/surface/forum/surfpro3-surfhardware/surface-pro-3-battery-degradation/783f6a00-19ba-4dcf-a828-0ad87751e15a. 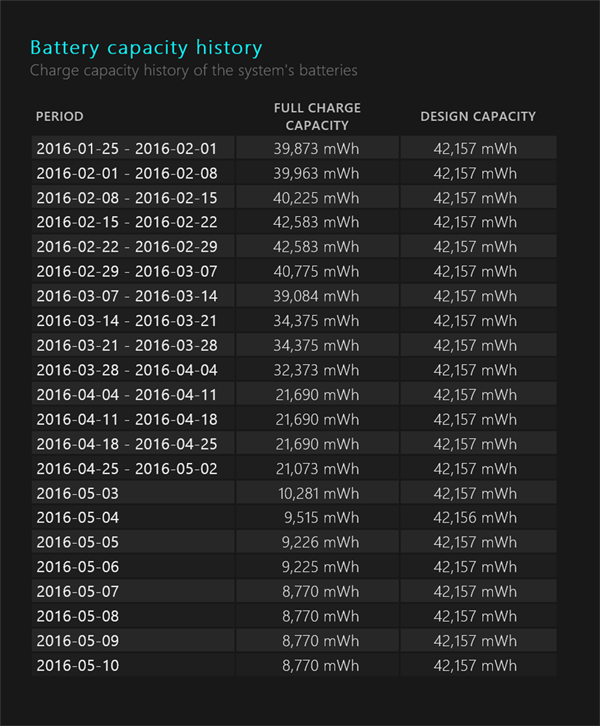 Please include a screenshot/capture of the capacity history and the manufacturer of the battery.